Missing teeth diminish the esthetics of smiles and hamper people’s ability to bite and chew normally. It can leave people feeling self-conscious. Many treatments for tooth loss only offer partial solutions that leave an individual’s longing for the beauty and function of a natural smile. With advances in modern dentistry, dental implants are returning to normalcy and enhancing smiles in ways many never dreamed possible. Dr. Margareta Gavrila and Dr. Alex C. Gavrila accurately place dental implants, so patients can resume normal function with beautiful restorations. Serving Chino and surrounding communities, Gavrila Dental wants you to experience the amazing benefits of dental implants. After tooth loss, the body also begins to lose bone volume in the jaw. When stimulation of a tooth root is lost, the body resorbs the calcium of the bone and distributes it elsewhere in the body. This process can cause jaws to take on a sunken appearance and prematurely age a person’s facial structure. Tooth loss also causes neighboring teeth to shift out of alignment and into empty spaces. Both bone loss and tooth movement are eliminated with the restorative powers of dental implants. 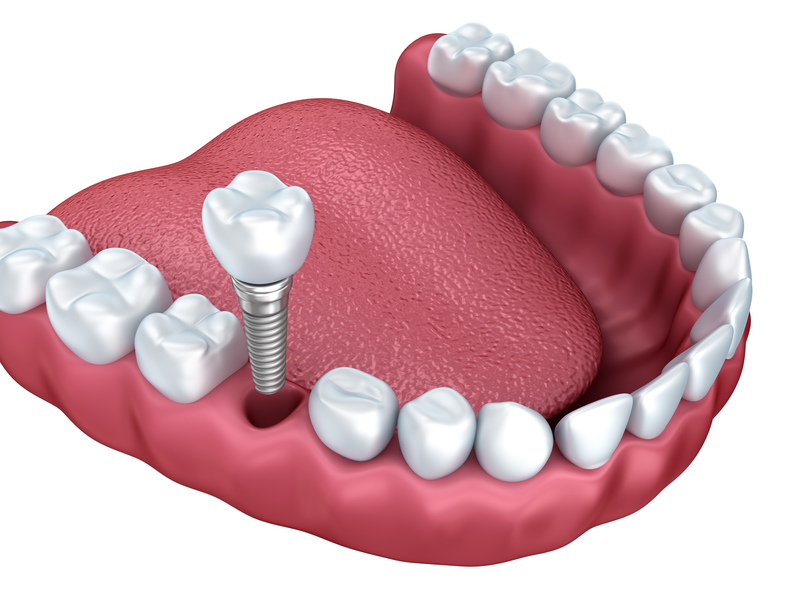 Dental implants are titanium posts that are placed into the jaw. Through a process called osseointegration, they are securely fused into the bone. The posts become anchors for permanent and beautiful porcelain crowns. The complete replacement of both the tooth and its root give dental implants the incredible appearance and function of natural teeth. Implants require no adhesive paste, do not slip out of place like removable dentures, and they keep the jaw bone strong and healthy. Implant posts support restorations for one tooth, a row of teeth, or a full arch of teeth. Patients are also encouraged to participate in choosing the shade and shape of their restorations, so they have a smile customized to their individual preferences. Most people are candidates for implants, but for those with diminished bone volume, sometimes a bone graft is necessary before treatment can proceed. Traditional implants require about three months for the posts to integrate into the jaw, and then the crowns are attached. Patients can expect implants to last a lifetime. Gavrila Dental, with the use of modern technology, can now provide dental implants in a days’ time. Both the implant post and the restorative crown are completed at the same time. During the healing process, patients must adhere to a diet of soft foods, but the advantage is an immediate restoration for an appealing smile. If you are considering restoring the full function and beauty to your smile with dental implants, give Gavrila Dental a call. Dr. Margareta Gavrila and Dr. Alex C. Gavrila welcome you as part of their family, and you can expect expert an accurate dental implant restoration. Dr. Margareta and Dr. Alex Gavrila serve Chino and surrounding communities with quality and compassion.